Spain which has a long wine-making history has been a relatively new entrant in the production of fine wine in comparison to France or Italy, and it was towards the end of the 20th century, that saw an extraordinary level of investment in both new and reclaimed vineyards along with new bodegas, combined by a new wave of ambition that helped it progress and make rapid strides to become one of the major wine producers in the world. With diverse climate across its regions and some having extreme conditions that are not really conducive for viticulture, it is the distinct geography and altitudes of its vineyards that has resulted in some high quality Spanish wine production. Spanish wine history dates back to around 1100 BC when Phoenicians founded the trading post of Cádiz in southwestern Spain, though many archaeologists believe that grapes were first cultivated sometime between 4000 and 3000 BC, much before the wine-growing culture of the Phoenicians. The Phoenicians were followed by the Carthaginians, a people from Ancient Carthage in modern-day Tunisia, who brought new and advanced ideas for cultivating vines. 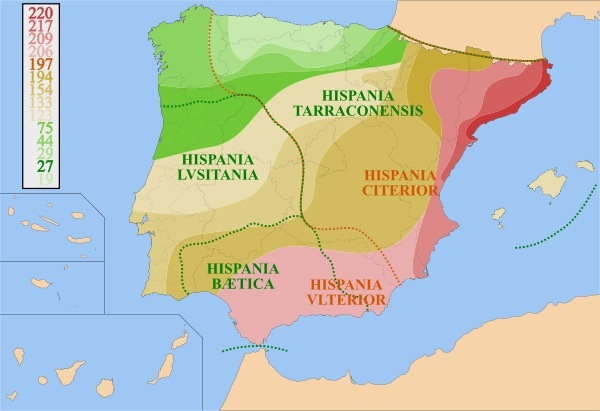 They were then followed by the Romans after a series of wars that would lead to the Roman conquest of the Spanish mainland, known as Hispania. During the Roman control of Hispania, Spanish wine was widely exported and traded throughout the Roman empire and its two largest wine producing regions at the time were Terraconensis (modern day Tarragona) in the north and Baetica (modern day Andalusia) in the south. Though Spanish wine was widely exported during the Roman times there are different opinions about its quality based on the writings from that period. Pliny the Elder noted the high quality of some wines from Terraconensis while Ovid wrote that one popular Spanish wine sold in Rome, known as Saguntum, was merely good for getting drunk (Ars Amatoria III, 645). Following the decline of the Roman Empire, Spain was invaded by various barbaric tribes including the Germanic invasions which ended up with the loss of many vine plantations. There is little information about the progress of viticulture and wine making during this period but there is evidence that some form of wine industry was present when the Moors conquered the land during the early 8th century AD. Though the consumption of alcohol was forbidden by Islamic dietary laws, the Moorish rulers had a rather ambiguous position on wine and wine-making during their rule. Several caliphs and emirs owned vineyards and drank wine despite the Islamic dietary laws. Therefore, though the production of wine decreased, it still continued and agriculture is said to have improved during the period of the Moors. 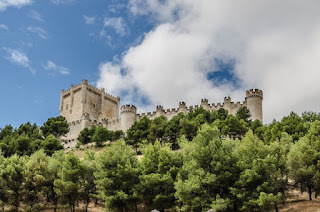 In 1492, under King Ferdinand, the joint military forces of Castile and Aragon defeated the Moors in Granada, in southern Spain after over 700 years of Reconquista. A few months after the Reconquista, America was accidentally discovered by explorer Christopher Columbus under the sponsorship of the Spanish crown while looking for an alternative route to reach the lucrative spice Kingdoms of India. The period after the Reconquista reopened the possibility of exporting Spanish wine and Bilbao emerged as a large trading port. Spanish wines were traded to English wine markets in Bristol, London and Southampton markets. The wines which were full bodied with higher alcohol were also often used for blending with the delicate wines from the cooler climate regions of France and Germany. The discovery of America also opened up a new export market as well as new opportunity for wine production. Spanish missionaries and conquistadors introduced European grape vines in the new lands they colonized, and as these new wine regions became a threat to Spanish income, Philip III and succeeding monarchs issued decrees and declarations that ordered the halting of wine production by the vineyards in the New World colonies. These orders were largely ignored, but in some colonies it slowed down the growth and development of vineyards. In the 17th and 18th centuries some varieties of Spanish wines like the Rioja and the sweet fortified Sherry and Malaga wine saw periods of popularity but the overall Spanish wine industry lagged other European countries. A major turning point occurred in the mid 19th century when the phylloxera epidemic ravaged European vineyards, most notably those of France. Phylloxera was inadvertently introduced to Europe by botanists in Victorian England who had collected specimens of American vines in the 1850s. With the sudden shortage of French wine, many wine producers turned to Spain which helped further expand and improve its viticulture. Moreover, many French winemakers crossed the border bringing with them their wine making expertise along with grapes varietals which were introduced in some of the northern regions of Spain. The grapes and wines from Rioja were mainly used by the winemakers and distributors in France during the period of the epidemic. Phylloxera eventually reached Spain, towards the end of the 19th century but the devastation was a lot less, as by then the remedy of grafting the resistant roots of native American varieties into the European vines had already been discovered and widely utilized. The end of the 19th century also saw the emergence of Spain's sparkling wine industry with the development of Cava in Catalonia in 1872. Cava uses the same production process as Champagne in France, where the second fermentation happens inside the bottle which gives the wine its bubbles and a creamy texture. Over the course of the 20th century, the production of Cava would rival the Champagne region in worldwide production. The Spanish Civil War which took place from 1936 to 1939 saw vineyards abandoned and wineries destroyed throughout Spain with regions like Catalonia and Valencia being particularly hard hit. The Second World War followed the Civil War and both the wars combined to damage the Spanish economy and the wine industry. This was also a period of military dictatorship in Spain under the rule of Francisco Franco. 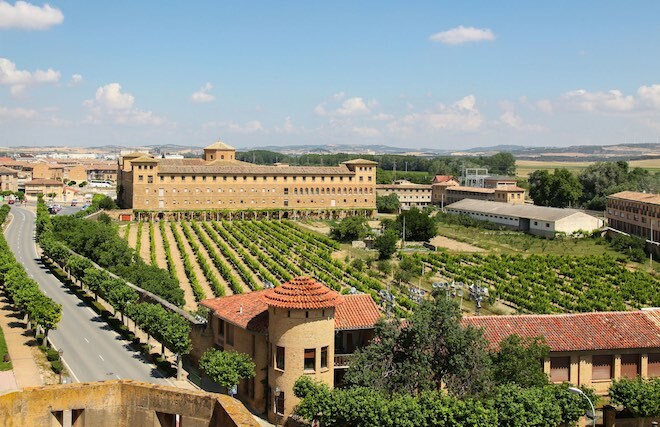 The Spanish wine industry had a period of revival in the 1950s with the return of stability and several large co-operative wineries were founded during this period. The wines from Rioja and Sherry were once again in demand by the international wine market. 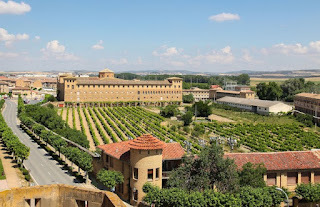 The death of Francisco Franco in 1975 and the subsequent Spanish transition to democracy helped in the modernization of the wineries and emphasis on quality wine production. 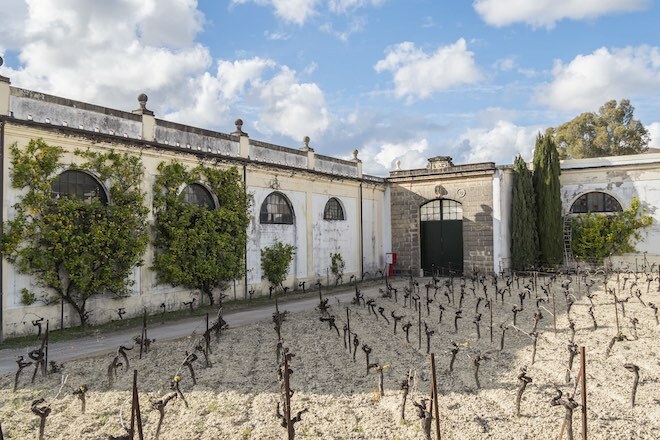 The 1986 acceptance of Spain into the European Union brought economic aid to the rural wine industries and improvements in infrastructure which further helped in the expansion and renovation of many vineyards and bodegas. The growing middle class of Spain also created a demand for better wine quality. The dry lands which limited Spanish wine production, were helped when the restrictions on irrigation were lifted in 1996, which gave winemakers greater control over yields and what areas could be planted. All these factors helped the Spanish wine industry to enter the 21st century as a serious wine producing country that could compete with other wine producers in the world. Spain has more land devoted to vines than any other and has a very diverse climate across its regions. To better understand Spanish wines, it is important to take its geography and climate into consideration as micro-climate plays an important part in the cultivation of grapes and the style of wine produced. The northern and northwestern portion of Spain, exposed to the northern Atlantic, can be cool to cold, wet, and green, while the towards the southeast, around Catalunya and Valencia, the climate is more moderate with strong Mediterranean influence. In the south, the Sherry and Malaga producing regions of Andalusia are very hot, while the climate gets more extreme further inland towards the Meseta Central plateau which is characterized by hot summers and cold winters. To get around the problem caused by the hot temperature many Spanish vineyards are planted on higher elevations typically over 2,000 feet (610 m) above sea level. These high altitudes with low night time temperatures allow the grapes to maintain good acidity levels and color and thereby prolong the ripening period, providing a good balance between sugar levels and acidity. Lower altitude vineyards, such as along the southern Mediterranean coast tend to produce wines whose main problem is an excess of alcohol due to the high sugar levels and a lack of acidity. In the regions with hot dry weather, due to the poor fertility and threat of drought, vines have been usually planted with widely spaced rows so that there is less competition between vines for resources. Since 1996, the widespread use of irrigation has encouraged higher density of vine plantings and has contributed to higher yields in some parts of Spain. 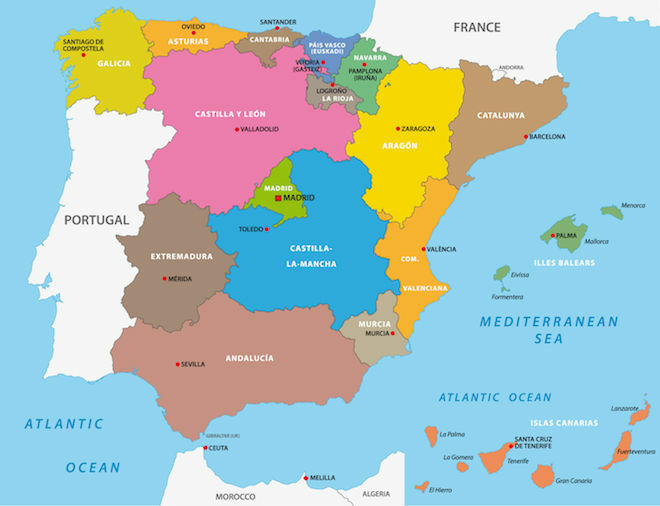 The important wine regions of Spain are Rías Baixas in Galicia, Ribera del Duero in Castile and León, Rioja and Navarra towards the north; Penedès, Priorat, Montsant in Catalonia and Valencia towards the east; Sherry and Málaga in Andalusia towards the south; La Mancha in the center and the Balearic and Canary islands. Spain uses a grading called Denominación de Origen (DO) for wine region classification. Quality wine regions receive the Denominación de Origen grade. Wine regions with a proven track record of consistent quality are graded as Denominación de Origen Calificada (DOC), which is a step above Denominación de Origen. There are only two wine regions with the DOC status: Rioja and Priorat. Each of these wine regions has its own history, and their collective histories make up the history of Spanish wine. In this article we explore the main grape varieties and interesting historical facts of five major wine regions of Spain: Rías Baixas, Ribera del Duero, Rioja, Catalan region and the Jerez-Xérès-Sherry region. 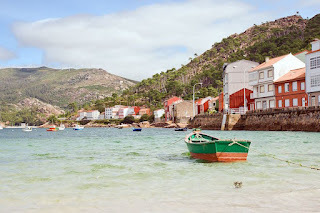 Rías Baixas wine region located in the autonomous community of Galicia in the northwest corner of Spain is a land of lush green valleys and a beautiful landscape with irregular Atlantic inlets called rías, which are drowned river valleys that remain open to the sea. Rías Baixas is known for its delicate, lively, aromatic whites that are a perfect compliment with its fresh fish cuisine. Some of the best producers have only a few hectares of vines and produce only a few hundred cases of wine a year. Rías Baixas acquired its official status as a Denominación de Origen (DO) in 1988. It is one of the five classified sub-regions of Galicia, particularly famous for its Albariño wines. It is believed that the Albariño grape was planted in the area by the Cistercian monks of the Monastery of Armenteira in the 12th century. Galicia is known for its wet climate with an average rainfall of more than 60 inches per year and plenty of sunshine which results in high humidity, with conditions better suited for the thick skinned Albariño that can resist the mildew, a persistent threat to viticulture in this region. The main red grape varieties planted in the Rías Baixas region are Mencía and Brancellao. The main white grape varieties are Albariño, Loureira blanca and Treixadura. Ribera del Duero is located in northern Spain along the Duero river and is one of eleven 'quality wine' regions within the autonomous community of Castile and León. It is home to some of the world’s best and most exclusive red wines and has an ancient wine making tradition. 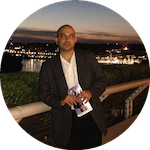 The region gets its name from the Duero river that in Portugal becomes the Douro river, flowing through the Portuguese areas of Douro and Porto, where it drains into the Atlantic Ocean. Wine making in Ribera del Duero goes back over 2000 years as evidenced by mosaic of Bacchus, the god of wine that was unearthed at a Roman villa in Baños de Valdearados. The Cistercian and Cluniac monks are known to have developed the viticulture in this region around the 12th century bringing with them some Burgundy and Bordeaux grape varieties. 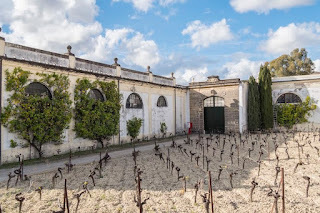 The region is also home to the famous Vega Sicilia winery founded in 1864 by Don Eloy Lecanda y Chaves, who planted various grapes from the Bordeaux wine region of France, including Cabernet Sauvignon and Merlot, which are still being used in the wines today. The wines produced in Ribera del Duero are almost exclusively from red grapes with Tinto Fino (local name for Tempranillo), being the most planted variety. Tinto Fino is sometimes blended with Cabernet Sauvignon, Merlot and Malbec. 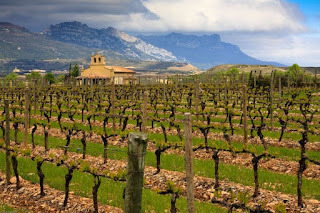 Rioja wine region located along the Ebro river in northern Spain spreads along three different autonomous communities of La Rioja and Navarre, and the Basque province of Álava. Rioja is further subdivided into three zones: Rioja Alta, Rioja Baja and Rioja Alavesa. Each of these zones produces its own unique expression of Rioja wine due to its distinct and varied geology. Rioja Alta is the western section with higher elevation, often seen as highest quality area, producing wine with good flavors and balance. Rioja Alavesa is the northern section with poor soil, but has a similar climate as the Alta region and produces wines with a fuller body and higher acidity. Rioja Baja is southeast, with drier and warmer conditions and produces wines that tend to be highly alcoholic and deeply colored. Rioja wines are normally a blend of various grape varieties, and can be either red (tinto), white (blanco) or rosé (rosado). 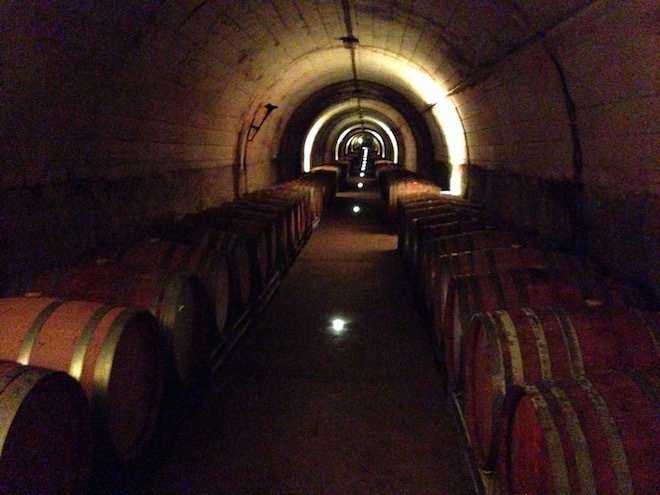 Wine making in La Rioja has a long history with origins dating back to the Phoenicians. Rioja wines are labeled based on minimum aging laws. For instance, to be labeled a Reserva, a red Rioja has to be aged for a minimum of one year in oak and two years in the bottle. Traditionally many winemakers in this region are known to hold their wine beyond these minimum requirements before releasing it to their customers. A distinct characteristic of Rioja wine is the effect of aging in oak which gives it its distinct vanilla flavors, a process that was introduced in the early 18th century by Bordeaux influenced winemakers. Tempranillo is the most widely planted red grape in the Rioja region but other red grapes grown in this region which are often used to make Rioja wines are Garnacha (Grenache), Graciano, and Mazuelo (Carignan). A typical Rioja blend consists of approximately 60% Tempranillo and up to 20% Garnacha, with much smaller proportions of Mazuelo and Graciano. Viura (Macabeo) is the main white grape planted in this region along with Malvasía and Garnacha blanca. Catalan wine region in Catalonia in northeastern Spain is located along the Mediterranean coast and is strongly influenced by its Mediterranean climate. The region has a long wine-making tradition and is the birthplace of the sparkling wine Cava. 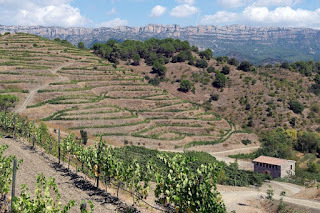 The Catalan wine region includes 9 Denominación de Origen (DO) which includes Penedès, Priorat, Montsant and Tarragona. Additionally, Catalunya is a separate Denominación de Origen that was created to include vineyards not part of the Catalan classifications. The region has a diversity of soil types with warm climates along the coast and cooler temperatures through the foothills up to plateaus of more than 2,000 ft (610 m) above sea level. The Penedès is the largest and most productive wine region of Catalonia and is considered the birthplace of Cava, which was first made in 1872 by the Codorníu winery. It was the first wine region to adopt the use of temperature-controlled stainless steel fermentation tanks. 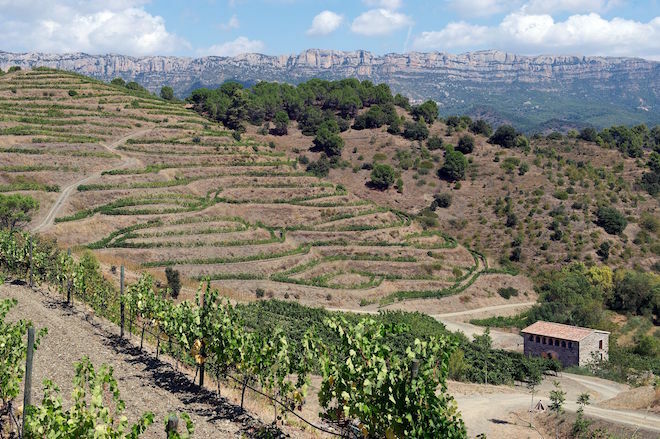 The Priorat region is one of only two Spanish Denominaciones de Origen Calificadas (DOC), in recognition of outstanding consistency of quality, the other being the well-known Rioja. It has been producing wine since the 12th century when Carthusian monks planted a vineyard and established a priory, from which the region took its name. Although the Romans had a major influence in the early development of Catalan viticulture, particularly around Tarragona, archaeological evidence suggests that the Phoenicians introduced wine-making to the region several hundred years before the Romans arrived. The main white grape varieties grown in the Catalan region are Macabeu, Parellada and Xarel-lo which are used to make Cava. The main red grape varieties are Garnacha, Monastrell and Tempranillo. Many winemakers in the Catalan region also use Bordeaux grape varieties Merlot and Cabernet Sauvignon. Jerez-Xeres-Sherry wine region in southern Spain is located in the province of Cádiz in the region of Andalusia. The region is known for its fortified wine made from white grapes that are grown near the city of Jerez de la Frontera. It has three names 'Jerez-Xérès-Sherry' because the wines of Jerez had been popular in Spain as Vinos de Jerez but also in France as Xérès and in England as Sherry. Sherry is produced in a variety of styles made primarily from the Palomino grape, ranging from light versions such as Manzanilla and Fino, to darker and heavier versions such as Amontillado and Oloroso which oxidise slowly as they age in oak barrels. Jerez has a long history of wine-making which goes back to the Phoenicians in 1100 BC and then followed by the Romans . During the Moorish period, the town was called Sherish from which both Sherry and Jerez are derived. Many of the Jerez cellars were founded by British families as sherry was a major wine export to the United Kingdom. The main white grape varieties grown in the Jerez-Xérès-Sherry region are Palomino, the dominant grape used for the dry sherries and Pedro Ximénez used to produce sweet wines.